Mrs Cammiade Thank you for your review. We are pleased that everything went according to plan,and that you found our services helpful,and met with your expectations both at the church and Crematorium. Dear Mahnaz,Thank you very much for your kind words. We're pleased that everything ran smoothly on the day and went according to your requirements as planned. Dear Mr Short, thank you very much for taking the time to give us feedback on the service you recently received from us. It is good to know you had a positive experience and feel able to recommend us. We initially dealt with Aaron (Funeral Director) who collected my Father's body when his death was reported to the emergency services. Aaron was professional, respectful and empathetic in dealing with the removal of my Father's body and he also left us with details of Mears Family Funeral Service. 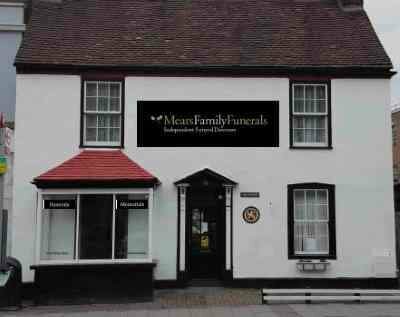 This was all a bit of shock at the time but we kept the details and made enquiries of 2 other undertakers before approaching Geoff Cook at the West Wickham Branch. As soon as we met Geoff (compared to the other 2 undertakers) we felt assured that he would be the right person to deal with my Father's funeral. Geoff, Aaron and Father Clive provided us with a first class service at a very reasonable cost. Geoff was lovely to deal with throughout and ensured that the viewings for other family members went smoothly and Aaron and the team were great on the day of the funeral. My wife and I would not hesitate to recommend Geoff and Aaron for making what has been a traumatic and emotional time very personal, accommodating, courteous and professional. Thank-you. Dear Wilfred, Thank you for taking the time to write such a kind review in regards to Geoff at our West Wickham Branch and Aron. We're pleased to hear our Funeral team were professional,respectful and Empathetic throughout your time of need. Dear David, Thank you for taking the time to leave such a kind review in regards to our West Wickham Branch and Sally our celebrant. We're glad to hear that your wifes Funeral was looked after with compassion and professionalism throughout. We found the service very unprofessional. Geoff was great and put our minds at rest when trying to get my mother’s funeral organised. Many thanks to Mears. Dear Alex, Thank you for taking the time to leave a kind review in regards to Geoff at our West Wickham Branch. Dear Graham, Thank you for taking the time to write a review in regards to our West Wickham Branch. We're glad to hear Geoff was Fantastic and helpful during such a stressful time for you and your Family. Dear Martin, Thank you for your kind words in regards to Geoff at our West Wickham Branch. We're happy to hear that the Eulogy was read with warmth and feeling and the service provided by Geoff was both professional and approachable throughout. Dear James, Thank you for taking the time to write a lovely review in regards to Geoff and our West Wickham Branch. We Pride ourselves in ensuring we always provide a professional and Empathetic Service. Dear Catherine, Thank you for taking the time to write a review. We so pleased that our West Wickham Branch were thoughtful, Efficient and Compassionate throughout your time of need. 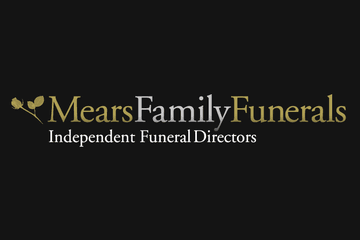 Mears Family Funerals West Wickham will provide you with a free obituary as part of their service.